After some time to reflect upon the UK military’s ability to regenerate DS has concluded that the situation is worse than we feared when we first wrote on the subject. As the Armed Forces contract so does the pool of essential trained technicians upon which, not only the British military ,but British industry, have traditionally relied. So we have added two new paragraphs into the featured article on UK Defence Regeneration In bold. Major General Kenneth L. Privratsky US Army (Retd) – Chapter 12 ‘A Reflection on the British Experience’ – Logistics in the Falklands War published by Pen and Sword, 2014. 1. Successive British Governments have cut the resources and capability of the UK Armed Forces over the last 30 years. In the mid 20th Century and start of the 21st Century the UK earned a world-wide reputation for professional competence and an ability to ‘punch above its weight’. Her Majesty’s Armed Forces either independently, or as part of an alliance, although always stretched, performed well in the Falklands in 1982 and Afghanistan in 2001. Since that time, UK forces have been further committed to combat operations in Iraq, Afghanistan, Libya and now Iraq again. Unlike in previous interventions last Century, the effectiveness of UK military contributions has been criticised and questioned by allies. The UK government may be in denial, but UK government actions and its continual whittling away at the size and resources of the UK Armed Forces has already led to a perception that UK has declining world relevance with limited capability. A mismatch between its rhetorical ambition to lead and influence on the world stage and the necessary resources needed to deliver. 2. One reason for this decline is the reality that operational effectiveness is directly linked to how the world’s 5th largest Defence Budget is spent not how much is spent. It is the threat adaptable and operationally fleet-of-foot ‘bang for buck’ that is more important than the headline, and ambiguously defined, Defence budget. This is the Achilles Heal of the current political rhetoric and smoke screen. Few people who understand Defence outside of the Westminster Village believe that the current funding is adequate or well spent. 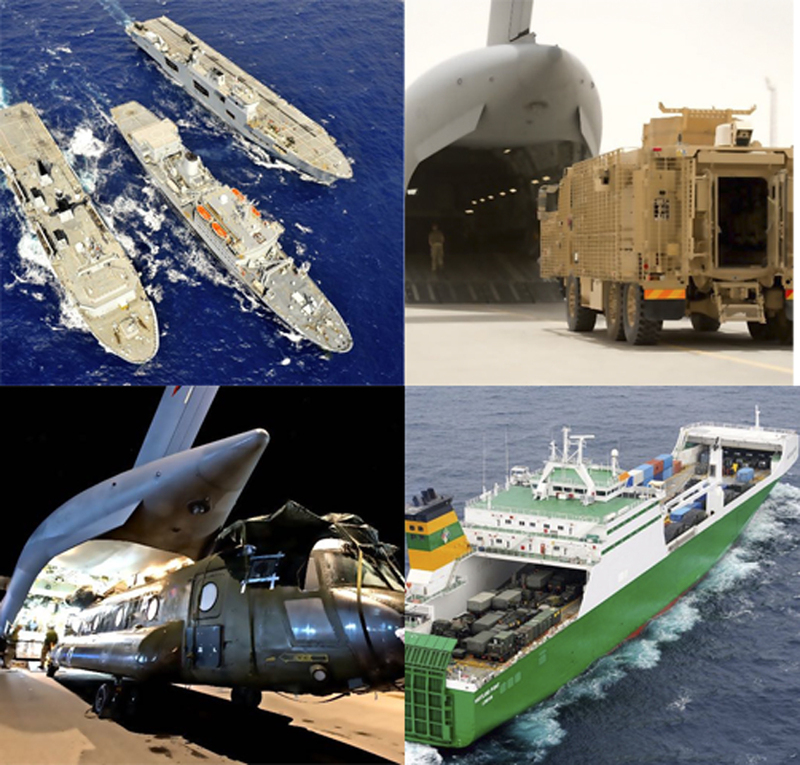 Fewer over-complex, over-expensive, and under-manned systems do not equal the adaptable, expeditionary, full-spectrum, resilient military capability aspired to. It is a classic ‘Emperor’s Clothes scenario. If Her Majesty’s Government is serious about its global ambition, this ambition must be backed up with the necessary budgets, resources, judicious procurement, and proper operational capabilities linked to a coherent wider pan-government national security strategy. Either that or accept the reality, despite the rhetoric, that UK is a ‘minor power’ in world affairs by default. 3. The reality is that given the limited numbers of trained personnel, the dwindling number of weapons platforms and lack of sustainability and resilience post Strategic Defence and Security Review (SDSR 2010) the British Armed Forces are operationally restricted on current tasking. They are over-stretched to meet emerging and rapidly changing threats. Over the last two decades there has been a marked decline in negative impact on the ability of UK forces to react en masse in timely fashion to a threat (Readiness) and to recover its readiness posture (Regeneration) swiftly post operation. The UK cannot even properly protect its trump card, its nuclear deterrent, without asking other countries to fill mission critical nuclear protection capability gaps in its own home waters. Furthermore, it would takes months, not weeks, to generate and deploy any meaningful rapid deployment force, even in support of NATO obligations, let alone any major global national obligations. 4. Politicians almost certainly imagine that regeneration is as simple and quick as getting rid of people when down-sizing. But it isn’t. It is in fact an order of magnitude more difficult, and even a call on Article 5 can’t change the situation however much HMG would like it to be so. Experience can’t be accelerated even if recruitment can. This DefenceSynergia paper is written to address the two crucial issues of UK Force Readiness and Regeneration. 5. For National Security and Defence to be cohesive there must be a clear and tangible ‘line of sight’ between the UK’s Grand Strategy defining its role in the world, its external and internal security strategy, the required speed of reaction, through to the required supporting Military Tasks and likely military planning scenarios and contingent operation assumptions. These criteria are the basis for defining what the Defence budget must be. 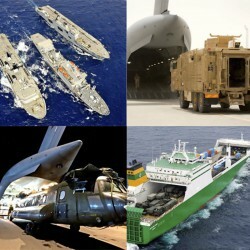 Alongside them is the need for a defined plan of action allowing for force regeneration post conflict, determine the equipment procurement programme and military personnel recruiting, training and Force Elements at Readiness and Force Element Sustainability as the basis for defining what the Defence budget must be. If the budget cannot be afforded, then the previous requirements and aspirations must be revisited and reduced to meet the budget. It is a simple enough equation we all understand that must balance: military output = government budget input (people, equipment, infrastructure, resources). Change one side of the equation, the other must change to balance. At present, the enduring ‘more from less’ infinite efficiency mindset is driving faulty operational and military resource judgements and decisions. 6. Force Readiness can be viewed as the time within which a unit or formation can be made ready to perform unit-type tasks. This time is amplified or measured by indicators of its current personnel, materiel and training state, albeit, according to Joint Warfare Publication JWP 0.01.1, the time in this instance does not include transit time into theatre. Whereas, to quote from NATO publication AAP6-2, Force Sustainability is the ability of a force to maintain the necessary level of combat power for the duration required to achieve its objective – personnel, weapons platforms and sustainment stocks all forming part of the mix. Failure to achieve this balance weakens UK’s ability to provide adequate Forces or to rapidly concentrate Force in response to a threat to a NATO ally or UK overseas interests. a. Is the trained and specialised personnel strength of each service sufficient to provide a replacement Force at readiness within Defence Planning Assumptions (DPA) guidelines? b. Should readiness time scales and the ability to deploy be sacrificed until troops are rested, trained and casualty replacements and equipment replacements are found? c. Are equipment inventories and Order of Battle (ORBAT) sufficient to meet the DPA Readiness requirements? d. Will time have to be sacrificed in order to meet procurement lead times to replace, repair or modify weapons platforms? e. Are sustainment stockpiles of expendable munitions and spares sufficient to meet the DPA requirement? f. Will time have to be sacrificed in order to fund, procure and rebuild operational stockpiles? g. The morale and operational fatigue factors. h. Are sufficient numbers of trained personnel being retained and capability gaps avoided by encouraging personnel not to exercise their right to leave prematurely or refuse to sign-on when time is served? 8. Force Regeneration to meet a general call-up in a NATIONAL EMERGENCY might require the full immediate participation of the Regular Forces, the Regular Reserves, and all volunteer reserve personnel. This scenario could entail increasing the size of the regular FF2020 armed forces by 60% from the planned figure of 145,000 to >225,000 assuming that conscription was not an option. Would there be sufficient training places, trainers, barracks, unit weapons and personal kit to accommodate and equip such a short order increase in personnel? For example, what useful purpose would the 31,000 Regular Army Reserve in addition to the 30,000 Army Reserve serve if the hardware, combat support (CS), combat service support (CSS), weapons platforms, enablers and suitable re-training are not available?2 Or for that matter what use would Royal Navy (RN) and Royal Air Force (RAF) Reserves be put in addition to auxiliary personnel if the ships, aircraft and re-training packages were not already in-place or the time to re-train exceed the immediate need? As a case study – pilot aircrew for Typhoon and F35B. It can take up to 5 years for a new pilot to enter service and become Combat Ready, even up to a year for qualified, but non-current, pilots to re-qualify. Unfortunately it is all too easy to believe more aircrew are the only solution to the problem of regeneration. Yet this is but one part of a more complex problem. The more difficult problem to solve is that training new aircrew could only begin after boosting the numbers of qualified and experienced aircraft maintenance technicians, including numbers of non commissioned senior supervisory personnel, to ensure safe working practices and the delivery, in the first instance, of stored aircraft that can be recovered to safe flying condition from depots and then maintained thereafter. Such people take decades to develop and are unlikely to be available in large numbers from industry. The long logistics tail of spares and repair would also need boosting, which would mean industry increasing its numbers of trained and experienced technical staff – competing for the same kind of people the Services would require. Only from an ever decreasing experience pool. Which makes the ‘time-line’ for Regeneration of some forces impracticable unless the warning time for call-up allows for prolonged training and the release of qualified instructors and platforms from an already diminished cadre of combat ready personnel and assets. The paradox to be negotiated is that to fill the need for extra pilots to fly operationally, the pool of already trained pilots and combat ready aircraft will have to be depleted in order to train the new intake: a lesson to be well heeded from WWII and the Battle of Britain. 9. The requirement for regeneration of forces rightly concentrates upon the personnel element and this cannot be understated. A unit or formation can only re-deploy once rested, retrained, re-equipped and brought up to operational strength in line with Government agreed force Harmony guidelines. These factors must be considered by SDSR 2015 and used to calculate the total trained establishment for each armed service. Differing ‘Harmony Rules’ for each Service is divisive and seems a hostage to budget rather than an operational consideration. 10. The issue equally applies to major weapons platforms, especially the more complex systems that require hauling off the line for damage repair, in-service maintenance and technology updates/refresh: ships, aircraft, helicopters, armour, ICT and certain high-tech munitions. The capacity and time-scale to build/replace/repair current systems and equipment are too long even in a renewal scenario. For example, shipbuilding capacity in UK is insufficient to maintain present levels of capability let alone offer timely replacement for reasons of attrition. Indeed, in the special case of maritime forces at sea, their ability to carry out maintenance, repair and battle damage may have been reduced with the introduction of contractor maintenance contracts. It is highly unlikely that the majority of our complex systems (T45, Typhoon, F35B) could even take a modicum of battle damage and continue to operate, or be battle damage repaired, without return to contractor facilities. 11. As the numbers of expensive complex weapons systems and platforms decrease, so their availability is restricted too. Fewer platforms to meet the intensity of tasking inevitably equates to fewer front line assets being combat ready at the time they are most required, or simultaneously being in the multiplicity of places required. Fewer platforms also means that those available are often operating beyond operational and maintenance planning schedules, almost always in more hostile environments than peacetime planning allows for – in essence we are working them into the ground – the Tornado Force is a prime example! This also applies to the more complex munitions carried, which, when used beyond planned peacetime rates of effort, leads to a rapid and unsustainable decrease of weapon stockpiles. Indeed, in some previous armed conflicts the UK has had difficulty in obtaining or resupplying ordnance and access to software supplied by allies. This is amplified by a procurement policy that orders less equipment from UK industry, using longer inflexible contracts, eroding the nation industrial base and military sustainment economy. 12. Since SDSR 1998 there has been a consistent argument from the government that more can be done with less. Those with even basic military knowledge will understand that, in terms of readiness, regeneration and flexibility of response, this is a militarily dangerous assumption. To inspire confidence that the government is indeed serious in achieving a Future Force 2020 that matches her international and domestic aspirations, the underlying defence and security philosophy of fewer more technological complexity is better than greater mass and resilient simplicity must be readdressed. The defence budget needs to be re-profiled to match the UK’s true operational requirements it is willing to fund. 13. The last decade of military operations and government Defence budget reductions leads us to question a defence policy that is based on UK aspiration to retain its worldwide role with expeditionary warfare at its heart. A government cannot expect our Armed Forces to continuously do more operations and deployments with ever fewer demoralized personnel and inadequate weapons platforms, supported by underfunded sustainment packages for decades at a time. At the same time the support that Industry is able to provide has been reduced through diminishing orders leading to closure of facilities and disbandment of skilled work forces. None of which bodes well for the future of UK Foreign and Defence policy. For without the ability to deploy adequate forces in-line with the DPA commitments (Readiness) and then to be able to recuperate between deployments in a reasonable time frame (Regeneration), our enemies will not be deterred, nor our allies reassured. 14. Post SDSR 2010, it has become demonstrably evident that UK has difficulty in mounting even low-level military operations. Since 2001 there has been growing concern among our principal ally – the USA – that UK is failing to match its rhetoric with capability. A former Chief of the General Staff has told DefenceSynergia that deployment of a Brigade or more could take upwards of 6 months to mount and this is based on the assumption that a benign line of communication (LOC) can be assured. Quite an assumption given that the enemy always has a vote. To correct this, it will be essential for HM Government and the Ministry of Defence to address the twin pillars of Readiness and Regeneration in SDSR 2015: these critical military requirements are currently unsustainable and incoherent.